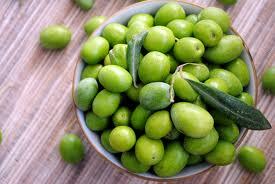 Ingredients: Extracted from olives, then lightly hydrogenated for spreadability. A rare antioxidant called hydroxy-tyrosol prevents cell damage. Rub on daily to prevent stretchmarks in pregnancy – high in Vitamins A & E.
Our Olive Body Butter is a premium, creamy consistency. It traps moisture in skin, preventing dehydration, creating plumped up, dewy skin. People ask “What is the best body moisturizer?” Try applying Olive Body Butter to your skin, after every bath or shower, and you will soon know the answer to this question. This Body Butter is: Free of parabens, phenoxyethanol and ethylhexylglycerin, all of which are harmful to the skin and toxic to the body. For an in depth article on what we mean by PRESERVATIVE FREE, read our article “No Preservatives in our Products”.